The Domaine was founded by Henri Vidal in 1983 on the mythological and fertile land of the island of Porquerolles, in the heart of the plain of Courtade. The 35 hectares of vineyards bordered by the Mediterranean Sea received organic agriculture certification in 1997. Edouard Carmignac took over the Domaine thirty one years later, intent on conveying his love for nature and beauty through wine. It is with this fresh impetus but with the same approach that Domaine de la Courtade wines undergo a revival. Surrounding oneself with the best talents is essential and this is something that Edouard Carmignac understands well! Keeping the man he calls ‘the memory’ of the Domaine, Michel Couturier, as the vineyard manager attests to this. Hiring Florent Audibert as the estate manager and oenologist was also a savvy choice! Florent is the son and grandson of a wine producing family and boasts extensive knowledge in this respect. Since his first vinification at the Domaine in 2016 he is fully committed to the estate. A few months ago, Hugues Carmignac - one of his children - also joined the team and the adventure and is now in charge of its commercial development. 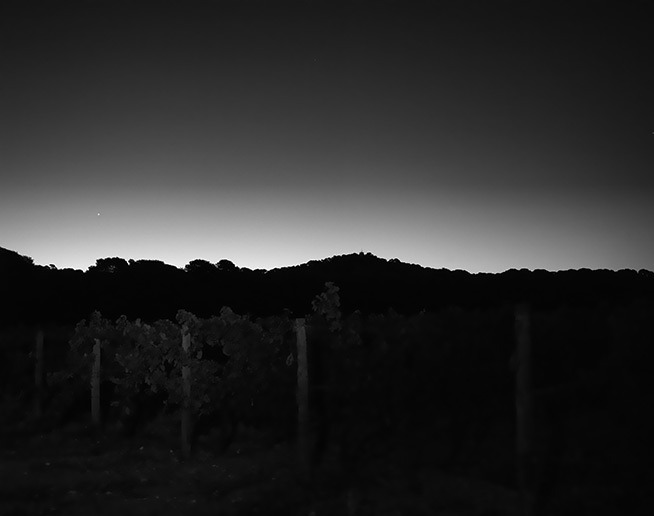 In line with its history the vineyard is now engaged in a biodynamic approach with renewed energy. It takes only fifteen minutes by boat to reach the island of Porquerolles from the Giens peninsula. This gem nestled in the Mediterranean Sea boasts several facets. To the south a rugged coastline dominated by cliffs peppered with secret calanques rocky inlets. To the north, fine sandy beaches and turquoise water. The centre of the island boasts plains where vineyards hold an important place thanks to a schist soil that is ideal for the production of superb wines. At the beginning of the 20th century around 200 hectares of vines were implanted here in order to protect the island from fires. Bordered on either side by the Mediterranean Sea, Domaine de la Courtade covers a surface of 35 hectares spread over the hillsides and the plain. Created in 1983, the vineyard currently produces more than 100,000 bottles of Côtes de Provence in three colours, white, red and rosé. The vineyard enjoys an exceptional terroir. The soil on the hillsides is composed mainly of brittle metamorphic schist and clay that retains water whilst allowing the roots to spread deep to find nutriments. The vineyard thrives in this environment and produce grapes that are packed with juice. In the plain the terroir is composed of richer soil with sand and schist, which is also favourable for cultivation vines. Combined with a maritime climate that tempers the weather the unique terroir produces wines that boast great character and good keeping potential. Rolle, Mourvèdre and Grenache represent the main varietals planted at Domaine de la Courtade. This yields wines that are well-structured, harmonious and elegant. Syrah and Sémillon are also present in limited quantity and confer both finesse and elegance. In 2016, stocks of Cinsault were introduced in order to add a touch of freshness and lightness to the blends, in particular to the rosés. Chosen for their delicate gustative properties the grapes used in the Courtade vintage come from the oldest stocks of the Domaine specially selected for their low yield. The Courtade vintage is matured in 400-litre casks which confers roundness and aromatic complexity and also enables it to keep well over the years. 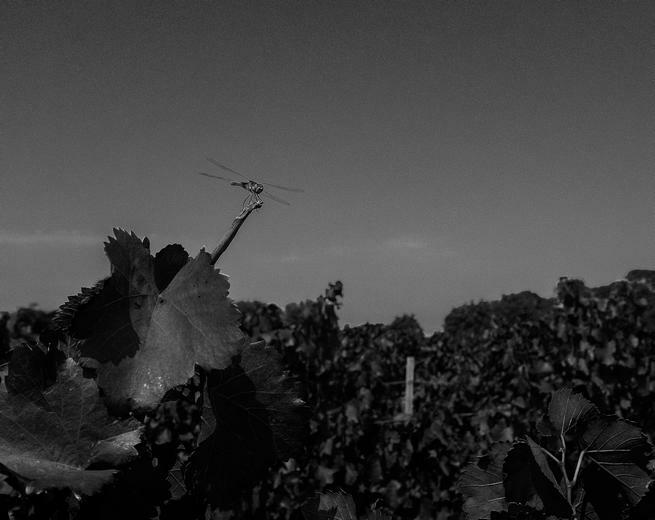 Respect for the soil and the natural cycle of the vineyard to ensure that it produces a well-structured and varied aromatic palette, such is the philosophy adopted at Domaine de la Courtade. The vineyard was certified for Organic Agriculture by Ecocert in 1997. As it is established on an island the vineyard has developed local solutions to enrich the soil with compost and plants. Rye is sown in autumn in between the rows of vines in order to create green fertilizer in the next spring. This ancestral culture brings additional nutriments to the stocks, facilitates penetration of water and air into the soil and also protects against erosion. Domaine de la Courtade is increasingly turning to a biodynamic approach to reinforce the vine stocks and prevent diseases. For instance, infusions made of macerated plants are used to reduce water stress and help the stocks defend themselves better.